Actor Jim Belushi has relisted his Los Angeles home at a discount, the Los Angeles Times reports. 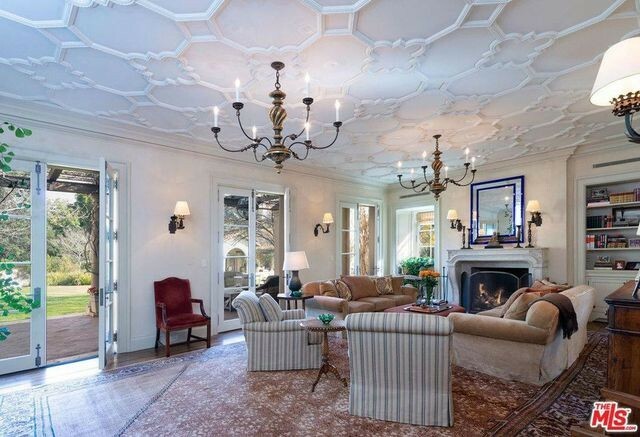 For just a hair under $28 million, you can acquire his bespoke mansion. Originally listed for a whopping $38.5 million in 2017, the custom-built villa’s price dropped to $30 million in June. Perhaps the newly reduced price will finally land a buyer. The huge spread certainly caught our attention. Located in tony Brentwood Park, the 14,371-square-feet home with six bedrooms and 11 bathrooms comes with a guesthouse, pool, and pool house. After he purchased the property in 2007 for $8.3 million, Belushi proceeded to build a custom home. He worked with architect Oscar Shamamian and interior designer Michael Smith. Completed in 2010, the luxe mansion was “curated with impeccable architectural details and finishes sourced from all over the world,” the listing notes. The first floor features a formal living room, dining room, eat-in kitchen, and family room. These spaces all open to the outdoor patio, landscaped gardens, and grassy grounds. There’s also a media room with a pool table, a wine cellar with a full bar, and a gym with a sauna and steam room. Ornate architectural details include intricate ceilings, tiled floors, and imported fireplace mantels. Upstairs, the master suite comes with a fireplace, private balcony, and stairs leading to an outdoor spa and cold plunge. 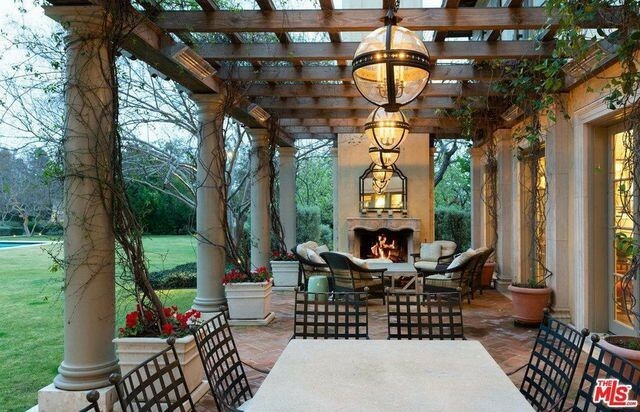 Outside, a trellis surrounds a dining area and fireplace, which look out to the pool. “We built our dream house,” the “According to Jim” star says in a video for the Wall Street Journal. Built on two lots, the Brentwood Park home was designed to feel like “the countryside of Southern France or Northern Italy,” he adds. 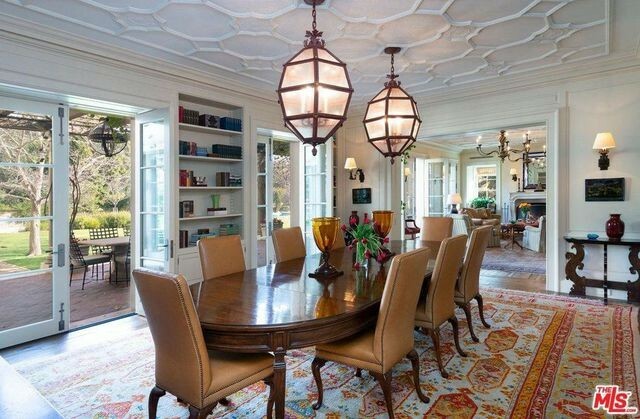 Belushi has quite a real estate portfolio, which includes a smaller Brentwood home he purchased in the late 1980s. He reportedly owns the Martha’s Vineyard home that once belonged to his brother, the late John Belushi. Plus, he reportedly picked up a rural property in Eagle Point, OR, and a cabin by the Rogue River. Elisabeth Halsted of Berkshire Hathaway HomeServices holds the listing. 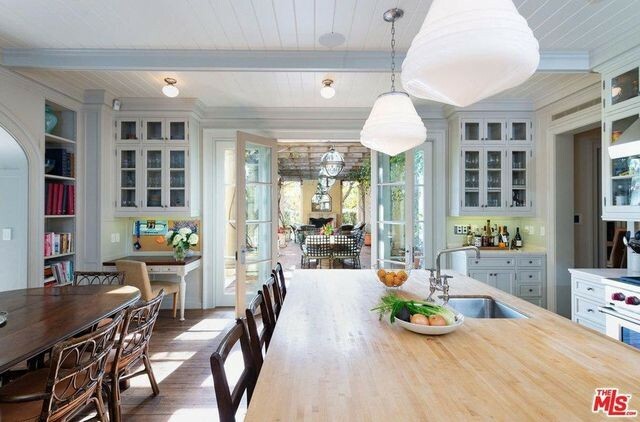 The post Jim Belushi Cuts Price on Mediterranean Mansion in L.A. to $27.9M appeared first on Real Estate News & Insights | realtor.com®.